Send photo to dereimerdesign@gmail.com or via Etsy conversation. Photo can be full-color or black & white upon request. Invite family and friends to your little man's birthday with this little man themed invitation! Proofs ready within 48 hours of purchase. • Please note, no physical items will be mailed. 1. Add this item and others to your cart. 2. Add event details in the Notes to Seller portion of checkout or send them to us via Etsy conversation. Please provide only typed details; no images of text please. 3. Send high-resolution photo to dereimerdesign [!at] gmail.com and reference invoice number or send to us via Etsy conversation. Photo can be full-color or black and white upon request. 4. Because this is a personalize product, it can be set up to print through any print shop. If you have a specific shop in mind, please let us know in the Notes to Seller potion of checkout or via Etsy conversation. 5. After confirmation of purchase, we will provide proofs within 48 hours via Etsy conversation. However, please note that we are off half days on Saturdays, and on Sundays. 6. After approval, your high-resolution files will be emailed to you. No physical items will be mailed. This invitation is for PERSONAL USE ONLY. Under no circumstances can these files be shared, resold, altered, or given away. By purchasing this listing you agree to these terms. All designs are copyright of DeReimer DeSign LLC. Please see our shop policies for more information or contact us via Etsy conversation. It is our pleasure to assist. Sale discount is automated by Etsy. For sale discount to apply, three or more items MUST be purchased within a single order/transaction. I ordered invitations, diaper raffles, and a book request card. Everything looks great and is EXACTLY how I wanted it to look. I'm so grateful! I used this for my baby shower! It was perfect and easy to use just as described! It was exactly what was advertised. 1. What permissions are included with my purchase? Our self-editing templates may be edited as instructed in that item’s listing description and printed by the buyer or through a print shop for the buyer. Our items are for one-time personal-use only. Under no circumstances can these files be shared, resold, altered, given away, copied, redrawn, or sold commercially. If you use our items in any commercial marketing, proper credit must be given to DeReimer DeSign. In no way can it be implied that anyone other than DeReimer DeSign created, owns, or can sell our intellectual property. By purchasing, you agree to these terms. We actively conduct infringement searches to ensure our items are not being used in an inappropriate/illegal manner and pursue any violations within applicable law. 2. How do your instant download listings work? Etsy automatically emails a link to your Etsy-registered email after purchase to download the files. We don’t personally email the files. Make sure that your Etsy-registered email is up-to-date. Many of our items are editable and allow you to personalize the text. Some items have non-editable text and require certain software. See the item’s description below the listing image for full details about that specific item. A PC or Mac is needed for editing; phones, tablets, and Chromebooks won’t work. Instant download purchases are automatically marked as “completed orders” by Etsy. We are not notified if requests are left in the “notes to seller” portion of checkout. If you have questions or a special request, contact us before purchase. 3. What are my options for self-printing? Our items print on standard 8.5x11 page size (items larger than this are an exception). Print shops like Staples, Office Depot/Max, and FedEx Office can print and cut if the item is straight-edged. For our uniquely shaped designs (onesie, bowtie, etc. ), we partner with Etsy shop “AZ Crafting Mama” for printing, cutting, and shipping. Contact us before purchase if you prefer this option. Our files are PDFs and cannot be printed through a photo lab or online print shop unless we convert the file. If you need to print through a photo lab or through an online print shop that requires a specific size and/or file type, contact us. See a list of places that can print our files at: http://www.dereimerdesign.com/printing-tips.html. 4. Can you print, cut, and ship my items to me? For standard shaped/straight-edged designs, message us for printing options or visit our print tips page at: http://www.dereimerdesign.com/printing-tips.html. For our uniquely shaped designs (onesie, bowtie, etc. ), we partner with Etsy shop “AZ Crafting Mama” for printing, cutting, and shipping. You can contact her through her Etsy shop at: https://www.etsy.com/shop/AZCraftingMama, or by email at: jawhitener1@q.com. If you choose to go with her services, you will not need to purchase anything from us. The price of our design services is included in her quote. Please note that any bonus items are not considered free through her services as they are a physical good through her shop. 5. I am having trouble with my instant download file. How can I edit and save it? If you have followed the provided instructions and the file is still not saving correctly, see our FAQ page at: http://www.dereimerdesign.com/faq.html. If you continue to have issues with the file, take a screenshot or photo of the template open on your screen and send it to us via Etsy conversation. We will need to see the entire screen in order to troubleshoot. The screenshot MUST be provided for us to assist. NOTE: The most common issue is that the file has been opened in a web browser tab instead of Adobe Reader DC. Many times, the browser being used to download will open the file in a browser tab as a preview. Some browsers will allow editing, but not saving with your details or use of the special fonts. Only Reader DC will work. 6. My item is printing differently than what I'm seeing on my screen. Why? There can be many reasons, but if you are printing from a PDF, please note that your Adobe Reader software must be up to date or it may not print correctly on a home or a commercial printer. A free, up-to-date version can always be found at: get.adobe.com/reader. Computers also use a different color coding system (RGB) than printers (CMYK). So even though your items should print very closely to what you see on screen, there may be some very minor differences. If the color of your invitation is printing very different than what's shown in our shop, please take a photo of the printed image and contact us via Etsy conversation with the image attached. A photo of the printed version MUST be provided in order for us to provide assistance. 7. I am an event planner. Can I use your templates for multiple events? We always appreciate when an event planner and their client(s) have selected our item(s) for their special day, but we do request that if a second client wishes to use the same item(s), that it is purchased a second time for their event. Our items are for one-time personal-use only. Under no circumstances can these files be shared, resold, altered, given away, copied, redrawn, or sold commercially. By purchasing, you agree to these terms. See #1 for more details. 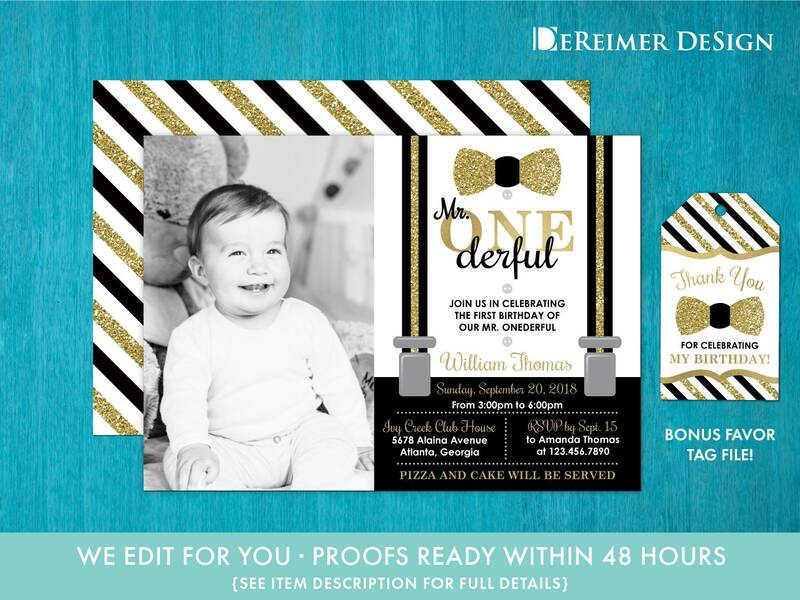 If you use our items in any marketing, proper credit must be given to DeReimer DeSign. In no way can it be implied or insinuated that anyone other than DeReimer DeSign created, owns, or can sell our intellectual property. 8. I am a printer and/or have a silhouette machine. Can I buy your template(s) and sell printed copies to my clients? Please see #1 for associated permissions. The person who purchased the file may print copies at home or through a print shop. If said client contacts you to print and/or cut their item, this is allowed. You may purchase the item for each individual client and then add the cost of our item on top of your printing and/or cutting costs as long as the item is not being used for multiple clients. It is prohibited for companies/individuals to purchase our items and resell them in their original format or in any other format. By purchasing, you agree to these terms. Files may not work on silhouette machines and are not set up for silhouette machines. Passwords will not be released. Contact us before purchase for more info. 9. What is the process and turnaround time for custom orders? Custom orders require us to set up a new listing for the customer. If you need a custom order or a change to an instant download item (wording, font, colors, size, etc.) contact us before purchase to discuss a custom quote and please do not buy the original listing. Quotes vary depending on the request. Custom and non-instant download orders have a turnaround time of 1-2 days, except during weekends (limited hours on Sat., closed Sun.) and holidays, please allow 2-4 days. Shop is based in Georgia (EST). We only provide proofs after the custom listing is purchased. You can review proofs and provide changes until you get your perfect item. If a refund is requested after proofs have been sent, only a portion will be refunded. 10. How do I print the items with glitter and/or foil? Items that have glitter and foil effects will print flat as shown. The glitter and foil effects are embedded images in the design. For the best end-result, print on high-quality white card stock paper. Please see our printing tips for more details and places that can and cannot print our items: http://www.dereimerdesign.com/printing-tips.html.